A few of the Read Tuesday books have begun their sales early. Read Tuesday, a Black Friday type of event just for book lovers, is officially a one-day sale on Tuesday, December 10. Many of the books will be on sale for just one day, December 10, but a few have begun early and will end on December 10. S.K. 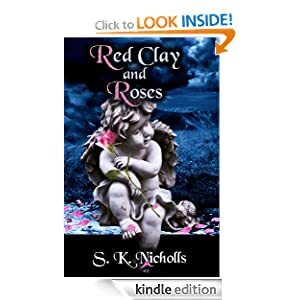 Nicholls, author of Red Clay and Roses, has seen some good signs with her Read Tuesday pre-sale. The e-book is currently 25% off (regularly $3.99, now $2.99), and will remain that way thru December 10. It’s a historical novel from the Deep South. Her book was featured in Ereader News Today, which boosted her sales rank to 3000 and ranked her book #44 in historical fiction. Another Kindle e-book that started its sale early is Elle Knowles’ Crossing the Line (women’s fiction). Regularly $2.99, it’s now on sale for 99 cents (67% off) and will stay on sale thru December 10. Master Koda Select Publishing, a small publisher, has 12 e-books participating in Read Tuesday, including Racing the Reaper (a medical thriller written by a paramedic). These books are already on sale for 99 cents (67% to 75% off) at Amazon.com (and also on sale at Amazon UK); the sale ends December 10. Click here to see a list of Master Koda Select Publishing’s participating e-books. There will be many amazing deals (many will be at least 50%, a few will even be free) on a wide variety of good books (many have 50 to 500 reviews at Amazon). Thanks for the shout out! Woke up at #35 and going to bed at #66. Great second day. Sold some books. Now putting on alligator skin for pending reviews. Read Tuesday is kinda like Christmas – you turn around and its here! Mark your calendar – you should have already done that 😉 – Don’t let it slip by you! Find that Christmas wish book list! Grab a cup of coffee – or in some cases hot chocolate – And start your shopping early with Read Tuesday! Some authors have released their sale prices early. Enjoy – Enjoy – Enjoy and Read – Read – READ TUESDAY! Tomorrow is the day for book bargains. You may want to browse the catalog today. Some books are already listed at sale prices.